Hear me out. I realize that it is highly unlikely for a concealed carrier to have to reload during a self-defense situation. So why carry one at all, right? But also, aren’t we in the “better have it and not need it, rather need it and not have it” club already? Being prepared for the unforeseen is partly why I carry a weapon. Sure, carrying a reload does pose other issues and concerns—it’s just one more thing in your pockets or on your belt. So where do you keep it? Is it going to be easy to conceal, but still accessible with speed? Well, that’s mostly going to depend on you and your needs. Now, sometimes, I carry a .38 Special. That means I only have 5 shots. I’ll admit, I don’t expect to encounter a situation where I may have to shoot more than one dirtbag, but what if I do? If I don’t have a reload, that doesn’t bode well for me or anyone I’m trying to protect. For me, I carry my speed loader in my support-side front pocket. If you concealed carry a Glock 43 or another semi-auto pistol and you want to carry an extra magazine, there are several options. However, they all have their pros and cons. 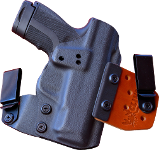 Carrying on/in the waistband is definitely going to provide accessibility and speed, but concealability can be problematic. Carrying a mag pouch vertically both in or on the waistband is going to print varyingly based on body type. However, another solution is carrying the magazine horizontal—parallel to the belt. Now, carrying speed loaders on the hip—concealment is definitely going to be an issue. That’s why I carry mine in my pocket (the bulge just prints like keys). Carrying a magazine or speed loader in the pocket, does have some downsides however. First, the magazine can pick up debris and lint which can interfere with the function of the magazine. There are some manufactures have pouches dedicated for pocket carrying a magazine. Another downside is that a magazine could tumble around in your pocket and end up in an unpredictable position. That can end up decreasing speed. Now, even with all these cons, the concealment (and perhaps comfort) can make for an easy compromise. 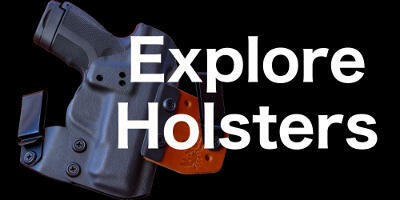 Alternatively, if you carry in a shoulder holster, you might even have a rig that has built in magazine pouches. But just like there are many ways to carry concealed, there are different ways to carry your reload. As always, no matter the method you choose—remember to experiment and practice. 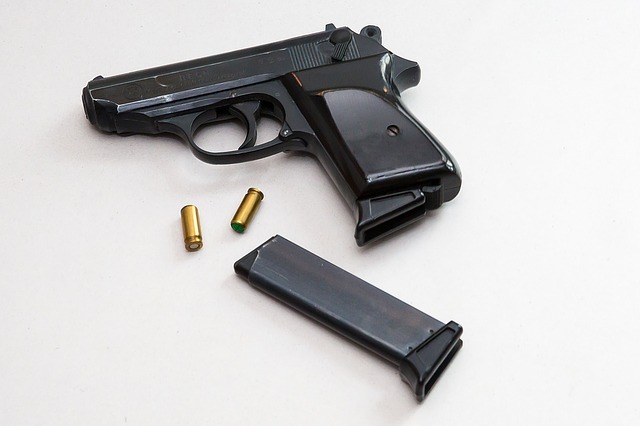 The best method for you may not be the best for a different concealed carry holder. But once you pick a way that works, practice reloading. This will help improve your speed, and give you another excuse to get the range. Where do you keep your reload when you carry during the summer?